Better cognitive ability in seniors is commonly associated with attaining a higher level of education. Experts say advanced education can help keep memory sharp because it helps to keep seniors in the habit of being mentally active. Pursuing education is significant because it requires mental pursuits. For example, any pursuit that is job-related, education-related, or produces better results as far as maintaining cognitive ability is better than being involved in a hobby, volunteer work, or similar activity. Some Discovery Village Senior Living communities such a Discovery Village At The West End and Discovery Village At Castle Hills offer a continuing learning class called “Discovery University” for its residents at no additional cost. 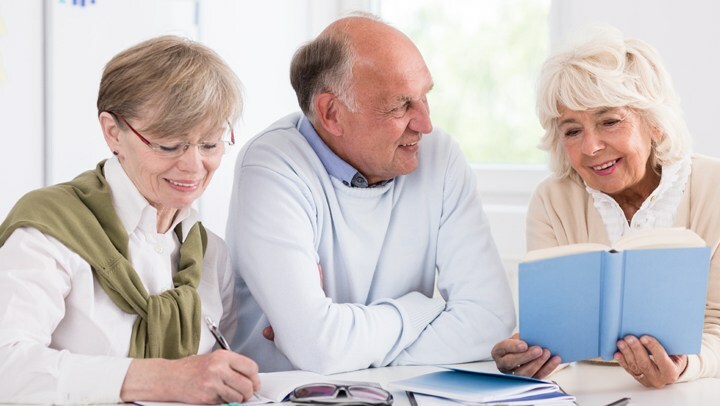 It is completely normal for people to experience memory lapses as they age but it is possible to help reduce those lapses with several simple and easy steps. Discovery Village Senior Living is designed with these factors in mind and provides continuing education programs, fine dining, and a stress-free environment to keep residents healthy in both body and mind.